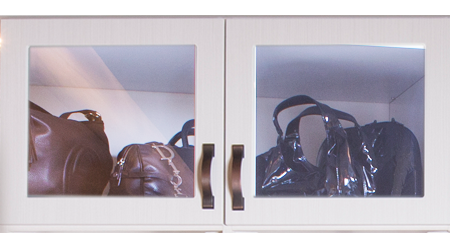 Closet Works offers 16 different door styles to finish the look of your custom closet or other organization system. 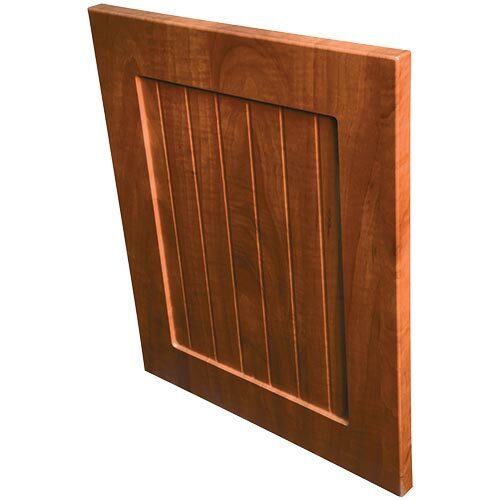 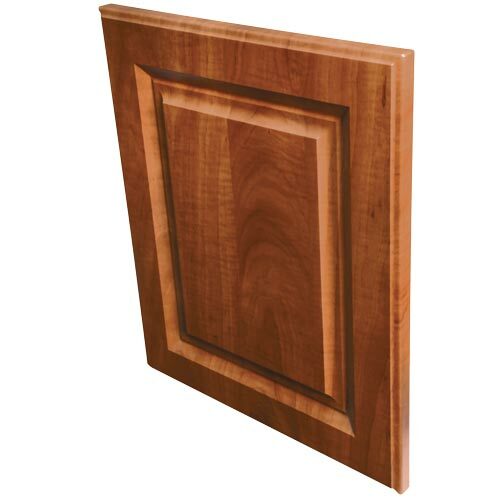 Whether you prefer traditional, transitional, contemporary, farmhouse, beach house or other decor, we have you covered with our large selection of door styles. 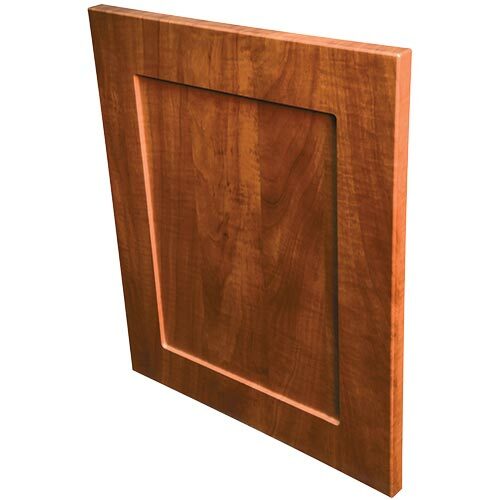 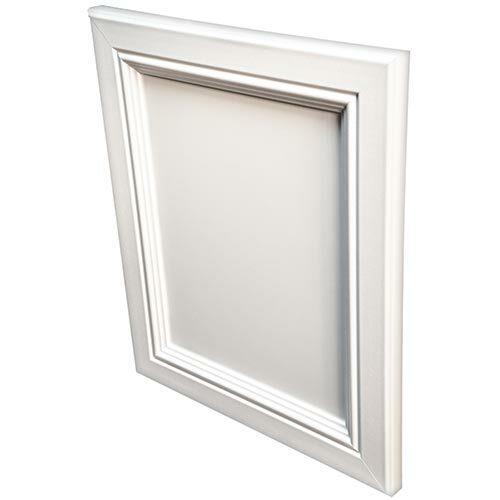 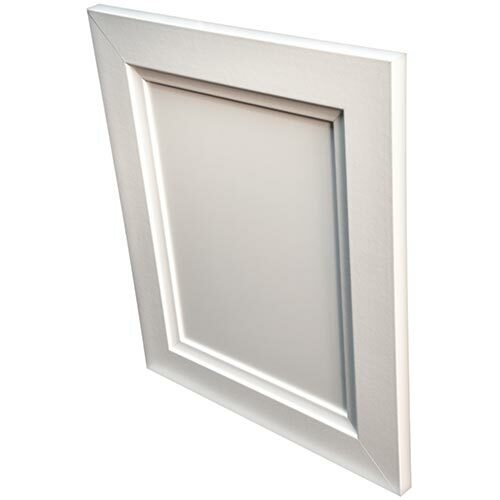 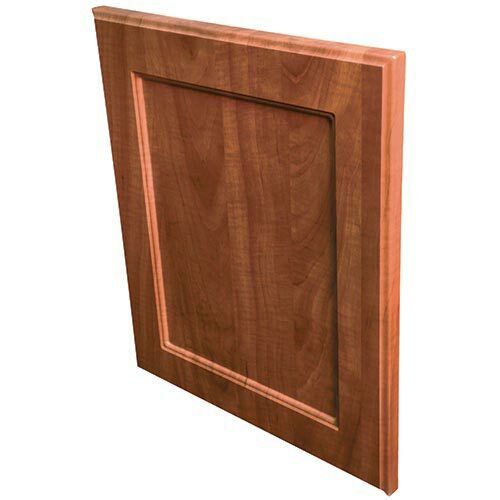 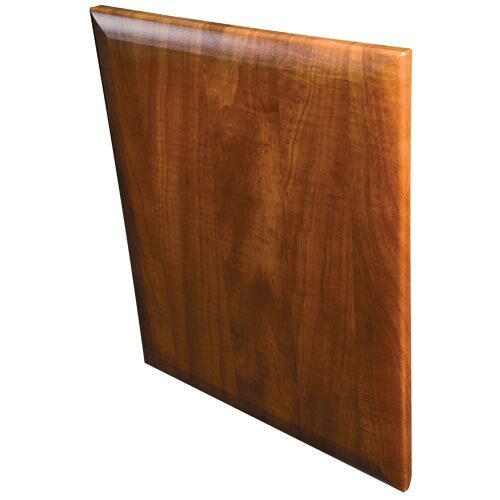 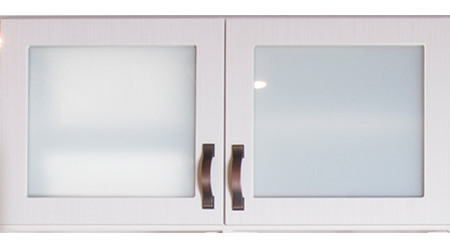 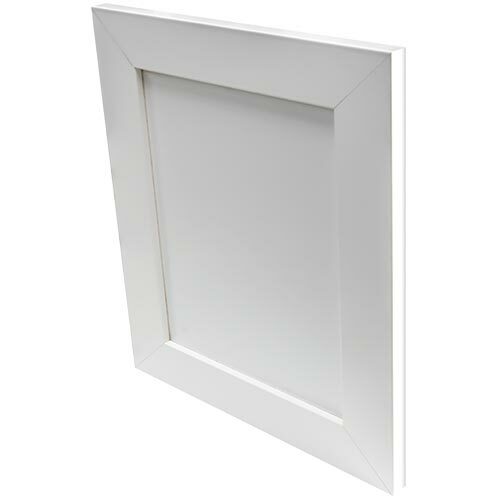 Many of our door styles are available open frame — the interior panel can be substituted for clear, frosted, reeded or rain glass for a special look — or use mesh panel inserts for your media center cabinets. 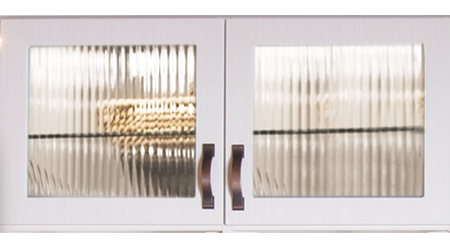 Most doors, whether laminate, wood or MDF, are available in the full range of colors offered by Closet Works. To view a a physical sample of any of our doors before making your final selection, see your designer or visit our showroom on Clybourn Avenue in Chicago's beautiful Lincoln Park neighborhood (plentiful FREE parking is available for customers in front of the building). 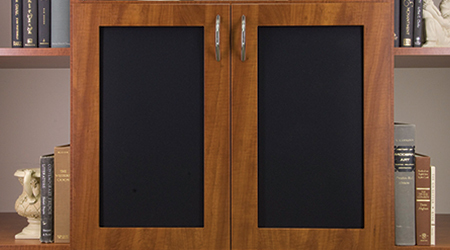 * All of the doors pictured below are for use on cabinets, drawer fronts and components of our custom storage systems. We do not sell interior doors that are used between rooms in the home or outside the closet. 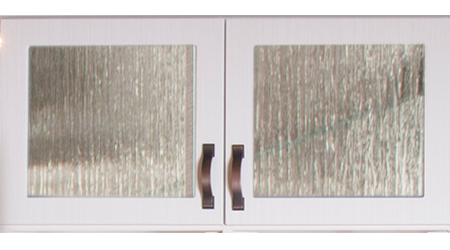 Learn more about Closet Works' Cabinet Door Options on our Closet Blog. Click on any of the images for photo examples of the different door and drawer styles in actual installations, plus information on options, sizes and colors available for each profile. 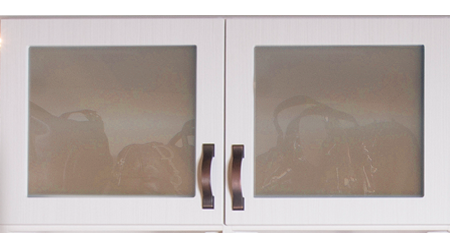 Closet Works offers eight door/drawer panel insert choices. 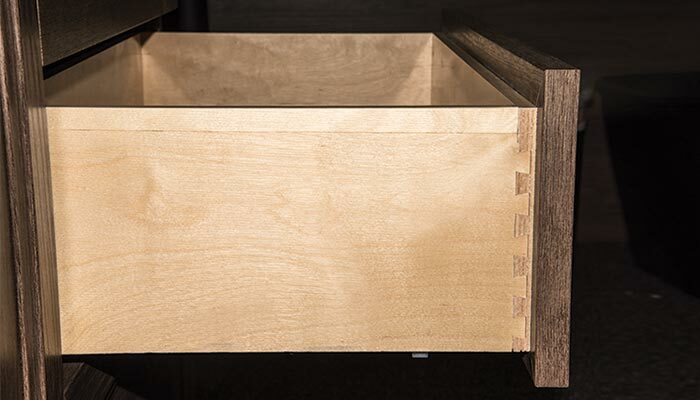 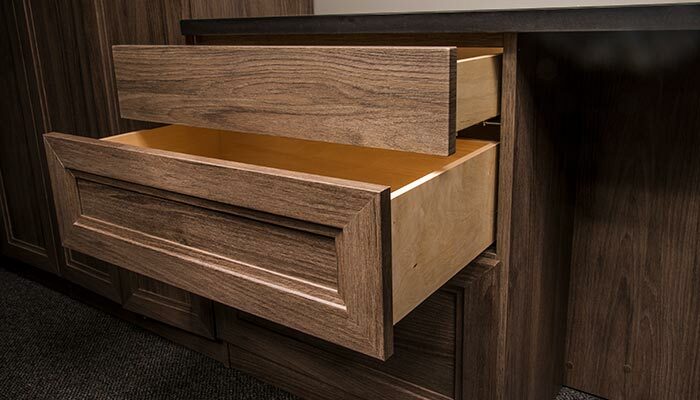 Inserts can be used on drawer and door styles that are available with the open front option. Please click on the door panel images for details and a larger sample. 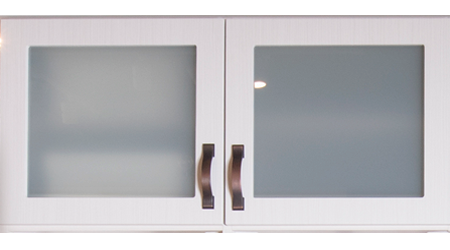 Not sure what to select with so many possibilities available? 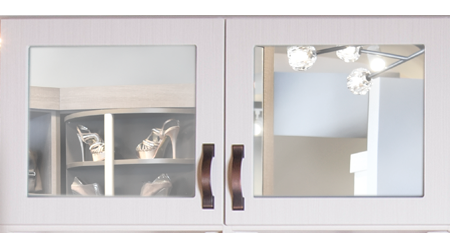 Visit our blog post Closet Door and Drawer Front Choices for more information.